Portability is renting a dwelling unit with Section 8 Voucher assistance outside the jurisdiction of the initial Housing Authority where you received your voucher. If you intend to move to another jurisdiction, outside Township of Edison, you must notify your landlord and EHA in writing (30-60days notice, please refer to your lease)when you want to move using the Portability Feature. If you decide after your annual recertification that you want to port-out, please contact us at 908 561-8489 and request to speak with the portability specialist. It is also necessary that you contact the housing authority where you plan to move because each HA has its own rules, regulations and deadlines. Obtain the contact information so that your case information is properly transferred. 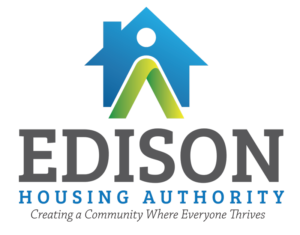 Mail Information: Edison Housing Authority, 14 Rev. Samuel Carpenter Blvd, Edison, NJ 08820 Attn: Portability Department.